Koreans are known for their love of fermented dishes -- for instance, the ever-present kimchi. And Koreans also consume fermented sauces on a daily base. 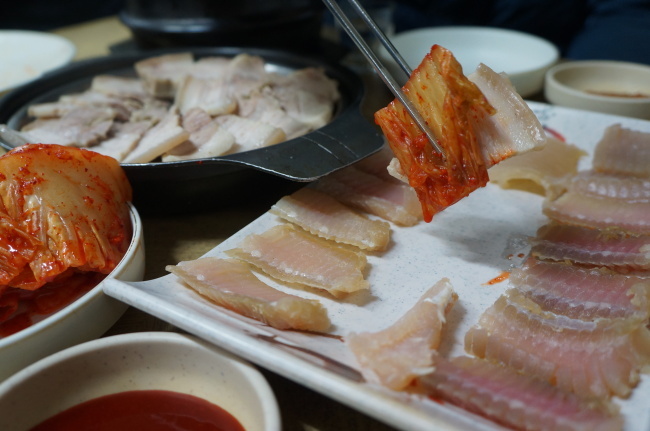 Adding one more to the list is, hongeo, a fermented skate dish, is a delicacy for many. A whole skate is placed in a pile of hay for days for the fermentation that results in its pungent odor -- such that some compare it to a public toilet. Even after the meal, one cannot escape the pungent smell that attaches itself to clothes and hair for days. Putting the smell factor aside, the fish is appreciated for its chewiness. Despite the fermentation, its texture is similar to that of raw fish. But the stinging taste is unique. After finishing a piece of hongeo, one’s mouth stings and rings due to the strong ammonia content of the fermented bottom-dwelling fish. Koreans typically enjoy hongeo with steamed pork belly and over ripe kimchi, known as hongeo samhap, with “samhap” meaning “gathering of three.” The texture of pork and smell of kimchi hide the presence of the fermented fish, though not to complete success. Mokpo, South Jeolla Province, is the home of hongeo, as the eateries line the streets of the bustling harbor. Heuksando, an island off Mokpo, is famous for producing high quality fermented skate fish. 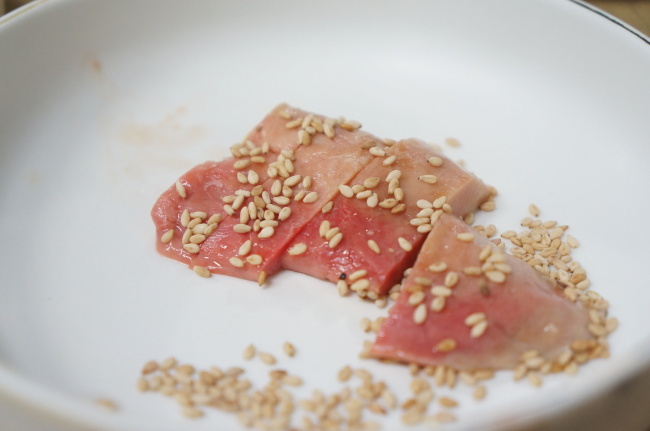 The dish has traditionally been enjoyed throughout South Jeolla Province. There, hongeo is a prized dish that is a must on the table for ancestral rites. Despite being rather pricey -- about 40,000 won ($37) for imported and 80,000 won for domestic skate -- many seek to enjoy the stingy taste alongside a stiff drink or three. Skate liver is often served as a side dish. Its taste and texture is similar to that of cheese, though with a fishy taste -- like eating cheese made with clams. Its smell, however, is distinctively hongeo. As hongeo’s smell lingers in the mouth, nose and throat even after swallowing, traditional Korean soju -- for those of age -- is a must to wash it all down. Even those not usually fond of the drink will find themselves reaching for it.